Kurt has been an editor, reporter and photographer for the News-Review since September 1979, learning the ropes under the expertise of Marquette University journalism graduates Dan and Bob Satran. He’s been the editor since March 1985, when the brothers sold the newspaper, and recently took over as publisher for the retiring Byron McNutt. In the tradition of the News-Review’s quality journalism and award-winning excellence as a community newspaper, Kurt has carried the torch forward by winning numerous state and national awards. 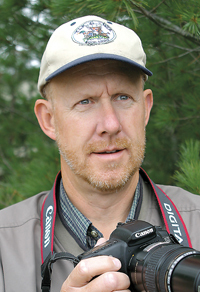 Kurt’s passion for the great outdoors and nature photography has boosted the News-Review’s content for wildlife enthusiasts, especially the dozens of unique eagle, osprey, loon, heron, bear and other wildlife photos that appear in the newspaper the year around. He has pledged to continue his award-winning outdoors column and the nature photography that have become favorites for many readers. Gary was named editor at the News-Review in December 2010 after being the assistant editor for the previous 25 years. He has served the community newspaper as a reporter and photographer since April 1985, winning awards for news, sports and outdoors coverage, and photography under the tutelage of former editor Kurt Krueger. Gary grew up in central Wisconsin, graduating from Abbotsford High School in 1978. 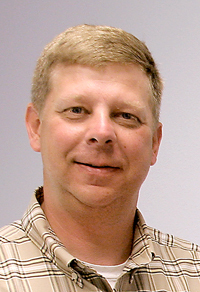 He is a 1983 graduate of UW-Madison, with a double major in agricultural journalism and resource management. He strives to maintain the News-Review as an award-winning community newspaper. The newspaper was named the Wisconsin Newspaper Association's Newspaper of the Year for large weeklies in 2011, ’13 and ’15 with the combined effort of a great staff. He and his wife, Sue, an English teacher in the Three Lakes School District, have two adult children: Carly, who is attending UW-Platteville, and Taylor, who is employed in Rochester, Minn. Gary enjoys fishing, hunting, camping, sports and taking scenic and wildlife photographs for the newspaper. Michelle joined the News-Review staff as Lifestyle Editor in 2017. When she is not at the office, she can usually be found enjoying cocktails in her back yard with her husband, Anthony, bearded dragon, The Admiral, and two cats, Suki and Ivan. (Cocktails are served to humans only.) When it is too cold for that, she can be found crafting creepy decorations for her annual Halloween bash, or working on some house-remodeling project. 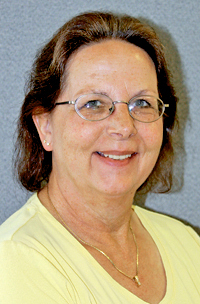 Jean joined the staff of the Vilas County News-Review in August of 1997. She wears more hats than anyone on staff, dealing with human resources one moment and then troubleshooting computer problems the next. She runs the production department, designs covers for special sections, distributes staff e-mail, manages the computer system, designs self-promotion ads, orders supplies and does the final check on every page that leaves the building — having the final say on quality control. “Jean Drew is an aggressive learner who adapts well to varying challenges on a daily basis,” said Kurt Krueger, News-Review publisher. “There is no project that gets tossed her way that she can’t sort out, and that may be quite the understatement.” As production manager, she knows every job in the department and fills in when staff members take vacations. She also helps out the news staff with special-events photography. Drew and her husband, Bruce, have one son. Her hobbies include reading, photography, canoeing and kayaking. 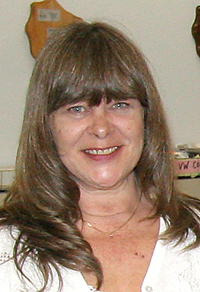 An award-winning graphic designer, Betsy has been a member of the Vilas County News-Review staff since 1981. With an eye for detail, she enjoys the challenge of designing a visual representation of clients’ ideas and messages through typography and artwork. Doug Etten started at the News-Review in December 2015, after his most recent stint as marketing director and general manager of Minocqua Brewing Co. 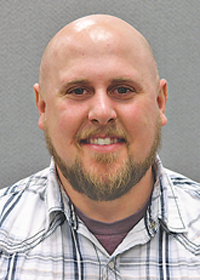 He has a background in news as a general reporter and photographer for The Star News in Medford, editor with Swift Communications in Lake Tahoe, Calif., and most recently as the sports and outdoors editor at The Lakeland Times in Minocqua. He comes to the Vilas County News-Review looking to continue the long-standing reputation of high-quality community news coverage. In his spare time, Doug spends time traveling to new cities and eating at different restaurants. He enjoys craft beer and loves hunting and fishing. He also is a Scorpio. Chris started at the News-Review in May of 2018 as an Advertising Consultant. 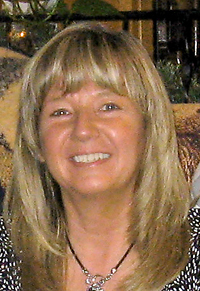 She worked in restaurant management for over 20 years in the area before joining the News-Review. A lot of her work experience is in customer service, and she enjoys meeting people and takes pride in doing all she can to make them happy. 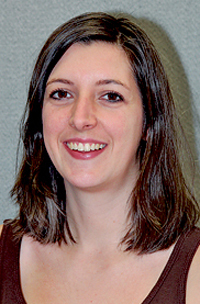 Chris was born and raised in southern England, and came to the United States in her early 20s. She lived in southern California, working in commercial real estate for several years until her son, James, was born. After her second son, Jason, was born, the family moved to Illinois for a few years. After vacationing at Sunrise Lodge in Phelps, Chris moved to Land O' Lakes, having fallen in love with the area and wanting to raise her boys there. Chris lives with her husband, Joe, on 24 acres of spectacular land and enjoys the wildlife that passes through (even the bears!). She also has a stepson, Brandon, and one grandson, Aiden. Chris enjoys travel, cooking, reading and Wisconsin's beautiful scenic countryside. 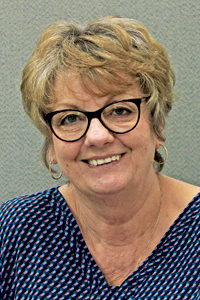 Mary Jo has worked at the Vilas County News-Review since February 1979, and managed accounts receivable for both the News-Review and Satran Litho. She left in September of 1984 to start raising her children, Chad and Brandon, and returned in May of 1985, performing various duties, including advertising, receptionist and assistant bookkeeper. She enjoys snowshoeing, walking, biking, flower gardening and cooking. If you visit the News-Review office, she is usually the first person to greet you. 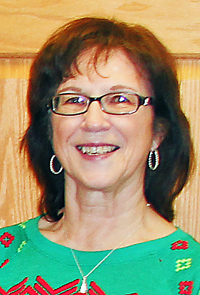 Liz has been with the Vilas County News-Review since May of 1976. As circulation manager, her duties include handling new subscriptions, gift subscriptions, address changes, publication watches, posting payments, subscription billing, printing labels and sack tags for the newspapers, mailroom sacking instructions, in-office postal forms and forms sent to the post office. 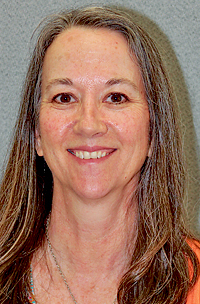 She also works with government officials, turning in city and town notices, advertisements and legal notices to be published in the newspaper. Other duties include answering the phone and customer service. Liz is a high school graduate and is self-taught when it came to mastering the circulation department’s computer program. E-mail or call Liz if you have any questions or problems regarding your subscription.